They are OWED, Governor Romney…they are OWED! If you want to see what Advance Publications' Alabama 'news' (they own the Birmingham News, the Huntsville Times and the Mobile Press-Register) operation will be like after September, take a look at their Mlive website. That, plus a thin paper with lots of ads a few days each week, is what's left of the Ann-Arbor News after Advance “streamlined” and “improved” that paper a while back. It looks like a fair to middling blog — no better than al.com — so don't get your hopes up. For those of us who live in Ann Arbor, it’s essentially meant we no longer have the kind of paper we grew up with. No offense to its staff, but AnnArbor.com, online at least, is a constantly updated blog, which gives equal play to impaled cyclists and rabid skunks as it does to politics and crime. The printed edition is newspaper-like, but with a different style and less gravitas than its predecessor. Folks in Ann Arbor have turned to Twitter “which has been a vital tool in providing the sense of community and communication that our newspaper used to create.” Just, wow. They also get some local news from the Detroit media. Will this turn out to be a boost to the remaining local papers in Alabama who still have a news & editorial staff? It would be ironic indeed if corporate profit-taking on the part of Advance ended up boosting the influence of local papers like the Decatur Daily and Anniston Star. Advance seems to think a local newspaper is three things: a small group of reporters, advertisers who need your paper whether it’s published three days or seven, and some readers. Fewer, every day. Yep. Fewer. Hard to see how this is good for anybody in the long term, certainly not for the communities these publications serve and not even for the investors, long term. But don’t be fooled. If you’re winding your company down with no strategy to wind it up, you’re burning goodwill even if you don’t acknowledge it. The Alabama papers never had much goodwill to burn, but that hasn't stopped them from building a bonfire. Over the last two decades or so, we've seen public opinion about climate change swing from support for policy changes to deal with the effects to disbelief that climate change is even happening. This book sets out to explain this shift in attitudes by exposing the strenuous efforts of many players – a few hired guns, but mostly true believers – to shift public opinion against preserving the living planet that keeps us all breathing and above water. Wait, there's more…Oreskes and Conway have dug even further to show us how these same bad actors have been involved in a multitude of efforts to justify everything from cigarette smoking to defense spending to winnable nuclear war to acid rain to secondhand cigarette smoke to the ozone hole. Oh, and these same folks love them some global warming, if it really exists, except it doesn't, and even if it does, it doesn't matter. And they really, really hate Rachel Carson. Really? Rachel Carson, the author of Silent Spring? They hate Rachel Carson and Silent Spring because they hate regulation of any kind, because all regulation eventually leads to Communism. That is the key right there – Oreskes and Conway follow the rabbit trail of climate denial all the way back to lung cancer denial and find a common thread of near-McCarthyite anti-Communism all the way through. Singer, Seitz, and all thier fellow travelers have morphed from “better dead than Red” to “better drowned than Green”. The Wounded Giant: America's Armed Forces in an Age of Austerity is aimed at readers with an interest in the defense budget, particularly in what can and should be cut from defense spending to meet the new, agressive deficit reduction goals without risk to our national defense. This is a rather specialized topic, but one with big implications for defense programs here in Alabama. All our members of Congress (or more realistically, a senior staff member) should have a copy. 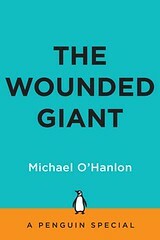 For a progressive reader, The Wounded Giant is an interesting but often frustrating book. Interesting because Michael O'Hanlon has gathered so much specific information into one place, frustrating because the usual conventional wisdom buries and obscures so much of the good stuff. O'Hanlon, director of research and a senior fellow at Brookings, displays an impressive knowledge of the topic, but progressive readers may find it hard to concentrate on the nuts and bolts of his analysis because they are so busy challenging his assumptions. The current international order, with the US as the sole superpower is best for the world. U.S. debt/deficit reduction must include reductions in military spending. Reasonable people can debate as to how benign the U.S. has been as the guarantor of peace and stability, especially in Central America, but would China or Russia really be any better? And having two superpowers vying around the world wasn't necessarily all that constructive, either, as I recall. So I am willing to allow him his premises, at least for purposes of discussion. Besides, the Beltway elites that this book intends to influence have already bought into all that conventional wisdom – heck, they wrote it. It is the language they understand, and O'Hanlon is smart to reach his audience where they are. The Wounded Giant is strong on facts and figures — a tremendous resource for understanding the size and cost of the military, and what our defense needs really are. It includes numerous historical comparisons between the size of the military now and at other times to put the discussion into perspective. I'm not sure I accept all O'Hanlon's historical references – there was a lot more to the outbreak of the Korean war than the U.S. demobilizing after WWII, for example. There's also some gratuitous Democrat-bashing in repeated references to the so-called “procurement holiday” of the 1990s and the “hollow military” of the 70s. Given the Beltway circles in which the author moves, I suppose some of that was bound to rub off on him. Overall, I believe O'Hanlon presents an honest and complete case of what can be safely cut as defense spending drops toward a level America can afford to sustain. He presents a detailed plan breaking down the $350 billion cut already in the August 2011 budget agreement. At the top level, the U.S. military would be restructured to be able to fight one major war and support “several missions”. From this flow force reductions, changes in military benefits, weapons systems cancellations and changes in the U.S. global presence (i.e. bases and naval deployments). He then totes up the resulting force and compares it to that required to deal with various scenarios: collapse of Pakistan, war on the Korean peninsula, and others, based on current planning. There's an entire chapter “stress testing” this concept against conflicts with China or in Iran. This is where it really gets interesting, because O'Hanlon argues that while the downsized military could handle these crises, it would be a close-run thing. This book argues that the $350 billion defense cuts should be a bright line, and that the $500 billion cut that will automatically take effect at the end of this year, thanks to the “supercommittee”, would be a disaster. Here is where the conventional wisdom that America has to have the strongest military in the world runs smack up against the conventional wisdom that enormous budget cuts are absolutely mandatory right now, dammit. Want to be a superpower? Gotta pay up! As the defense budget is forced to absorb cuts — and if politicians in Washington choose austerity to reduce deficits, defense obviously has to be cut — Americans must make hard choices between the national defense we want and the one we can afford. The solution, which O'Hanlon briefly mentions in Chapter 3 — while discussing the Simpson-Bowles deficit reduction targets — is simple. Let the Bush tax cuts expire. Then we can afford to throw our weight around guarantee stability in the world. I know, the usual suspects inside the Beltway hate like anything to look on the revenue side of the budget equation, but there comes a time when you can no longer have your cake and eat it too. America has reached that point. , by William Greider. A couple of good counter narratives to conventional wisdom about foreign and defense policy are Blowback, Second Edition: The Costs and Consequences of American Empire and The Sorrows of Empire: Militarism, Secrecy, and the End of the Republic , both by Chalmers Johnson. 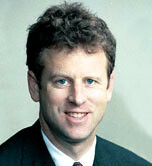 Michael O'Hanlon is a senior fellow in Foreign Policy at the Brookings Institution, specializing in U.S. defense strategy, the use of military force, homeland security and American foreign policy. He worked as a national security analyst at the Congressional Budget Office between 1989 and 1994. He was signatory to two statements issued by the Project for a New American Century (PNAC – yeah, the people that brought you the Iraq war): the Second Statement on Postwar Iraq of March 2003, and Letter to Congress on Increasing U.S. Ground Forces of January 2005. In 2001 he warned in the Washington Post how difficult an invasion of Iraq would be, and in the fall of 2002 argued at an AEI forum that the occupation of Iraq could last 5 years and take 150,000 troops. However, by early 2003 he was advocating for the invasion. 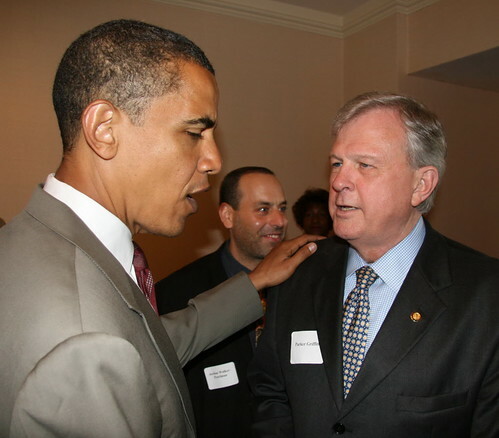 Blogger Glenn Greenwald called O' Hanlon one of the biggest cheerleaders for the war. I mention this chapter of his career not as an attempt to impeach Dr. O'Hanlon's expertise on this subject or to automatically dismiss his conclusions, but because it is prudent to keep track of who wound up on the wrong side of the Iraq fiasco. This review is part of that interesting new phenomenon, an online book tour. Click here to find other blogs on Michael O'Hanlon's virtual book tour. Was Senator Dial struck blind on the road to Damascus I-59? Did he hear a voice asking “Gerald, Gerald, why persecuteth thou me” from some carpenter construction worker named Jesús? Hee-Hoo! We got a Parker Griffith Robo-call! First right thing you've said, Parker. Listening, Mo? If a #@$%&*! blind hog like Parker Griffith can find this acorn, can you? Famous legal nutter Orly Taitz is representing one Albert E. Hendershot in a suit seeking to bar President Obama from the ballot in Alabama. I would like to draw your attention to the ad at the upper right corner of the blog, next to the banner. Right now, it is an AFSCME ad for signatures on a letter calling Newt down for his attacks on poor children. A good cause, and please click on it – but what I wanted to point out was the layout of the ad. Notice how the largest and boldest type is reserved for the words “truly stupid” – right next to Newt's petulant puss! Well played, AFSCME! Well played! Sure, it's not his best picture, but then, there aren't that many good pictures of a guy that looks like “someone poured mashed potatoes into a suit“. It seems that News Corporation, Rupert Murdoch's global media empire, are alleged to have been bribing British police to quash an investigation into phone hacking. As an employee of a law-abiding government contractor, I have had the FCPA and its consequences drilled into my head once a year for quite some time. This is not uncommon. All of us worker bees know that if we so much as mention a wad of bills (or a bottle of Jack Daniels, a night on the town, or what have you) in connection with anything to do with work with foreign partners, we are in danger of jail time. You don't do anything like that with American companies, either. There are lots and lots of negative examples, and our employers are making sure that we know about them. Because in some of those negative examples, senior executives actually went to jail. So, is Rupert Murdoch in any real jeopardy? Or is he insulated by all his underlings, who could do whatever it took without implicating Mr. Murdoch? Obviously, this is terribly limiting – for example, the only county that had any breweries at all before 1918 was Jefferson! The Free The Hops organization and its allies have successfully convinced the Alabama Senate to pass the Brewery Modernization Act, SB 192. SB 192 removes these restrictions and the 10,000 barrel per year production limit. Good work, folks! So, now we can look forward to brewpubs opening in wet counties across the state, right? There have been negotiations, but they seem to be aimed at stalling the bill rather than coming up with a compromise. So, Free The Hops has called for a boycott of Anheuser-Busch products and Anheuser-Busch's distributors in Alabama. This has an unfortunate side effect because some craft breweries in Alabama are distributed by these same wholesalers. So the boycott will hurt them in the short term. But when you are up against the world's largest brewer, what else can you do?